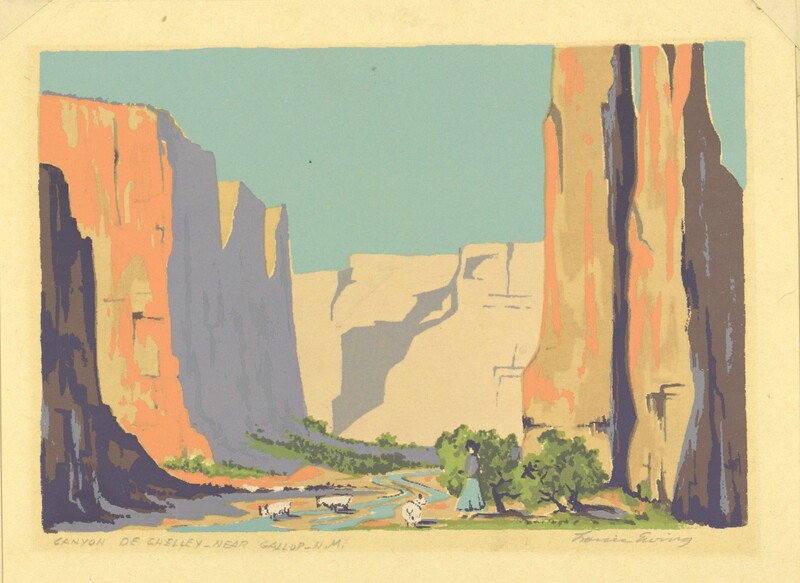 Canyon de Chelley - Near Gallup - N. M.
Screen print entitled "Canyon de Chelley - Near Gallup - N. M." by Louie Ewing. 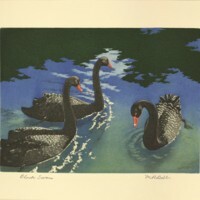 The item depicts a canyon valley with a woman letting her sheep drink from a stream. 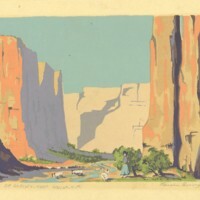 5 6/8" x 7 6/8"
Ewing, Louie, “Canyon de Chelley - Near Gallup - N. M.,” Digital Exhibits, accessed April 24, 2019, https://cuexhibits.wrlc.org/items/show/68.